A LOCAL outfit considered pioneers in sensory theatre for children will make its international debut next April. 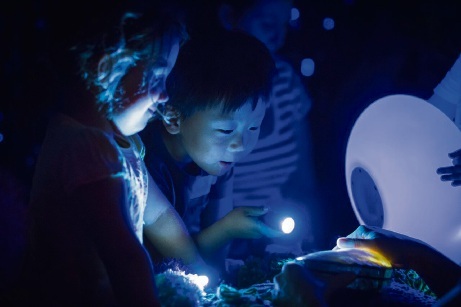 Hamilton Hill’s Sensorium Theatre will present its production Oddysea at New York’s Lincoln Center as part of the Big Umbrella Festival, a first for children on the autism spectrum. Co-artistic director Michelle Hovane said it was an incredible opportunity to take children on a journey and share ideas with the industry’s best. “We could not be more excited to take this WA-made show to the biggest and best-known performing arts venue in world,” she said. Oddysea is an interactive underwater adventure taking children with special needs and their families from the beach to the bottom of the sea. The local crew will perform alongside New York’s Trusty Sidekick Theatre Company and UK group Oily Cart. The team will not be overawed by the occasion, having built up to the opportunity with presentations of Oddysea at the Sydney Opera House and the Arts Centre Melbourne, and last week wrapped up a national tour. Sensorium Theatre producer Rachael Whitworth said the opportunity showed their presentations specifically designed for young audiences with disabilities were having a positive impact. “Securing this international debut at the world’s best known venue is such a great validation of the important work Sensorium do,” she said.